Have you ever been to a restaurant and really questioned where the food comes from? You might be surprised to learn that in most chain restaurants, for example, little or nothing is actually cooked on-site; it’s just fried or reheated there. Contrast that with going to a traditional Italian eatery, for example, that makes its pasta right on the premises, or a French patisserie that bakes its own bread in-house. You just know that the quality, freshness and authenticity is going to be better, right? Believe it or not, the same goes for dentures of all kinds. Replacement teeth are simply better when they are made at a laboratory that is located in the same place as the dental office. The benefits to you, the client, are fourfold. 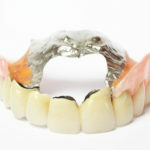 Outsourcing can save money, but not when it comes to making new dentures and repairing existing ones. Because Dentures Direct in effect controls its own laboratory, they can essentially charge a lower price for their dentures because the price is set by Dentures Direct, not by an external laboratory with its own profit structure. We can then pass these savings on to you. 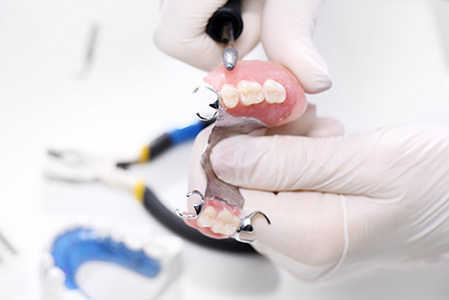 Having an in-house lab means Dentures Direct can source its own materials from reputable national and international suppliers, obtaining volume discounts on the wide range of products used in the manufacture of dentures. 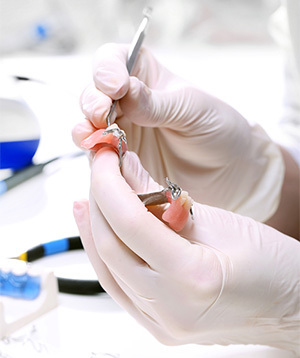 From monomer to pumice to porcelain, you can rest assured that the products used in the repair and manufacture of dentures are top quality, certified safe, and effective as well as long-lasting. 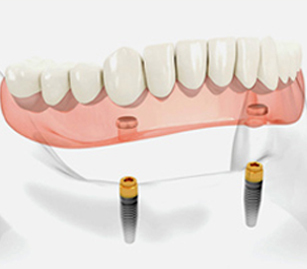 In addition, the RDTs who custom fabricate and repair the dentures have been trained to the highest possible standards of their profession, and are considered expert in their field. Continuity of service is something we place a top priority on at Dentures Direct! When you come into our clinic to see one of our denturists, and decide on the best course of treatment for a healthy mouth, the denturist will make a model of your teeth and gums that will be used in the manufacture of your replacement teeth. In many cases, such a denturist would put that model in a box along with a hastily scribbled prescription, and courier it to a distant lab, where the technician would have to try and make sense of what the denturist wanted. 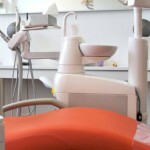 The service benefit of having an onsite lab is that if there is any question or doubt as to what is required, the technician can simply ask the denturist immediately! This ensures an unparalleled quality of service and care, and eliminates the time wasted to fix costly mistakes later. With our in-house lab located right on the premises, we can get your dentures ready the same day you come in, so you don’t have to be without teeth for even a single day. And if something goes wrong with an existing denture of yours – whether you got it here or not – and it’s not fitting well anymore, or has broken or become worn down over time, our onsite lab can usually fix the problem in about an hour, while you relax in our comfortable office. Savings, quality, service and speed are just some of the ways Dentures Direct strives to offer you the finest in dental care and solutions for your teeth and mouth. Call us today and experience the difference having an in-house lab makes! Denture Repair – A Definitive GuidePartial Denture – Why Do I Need One – Only Missing a Few Teeth!